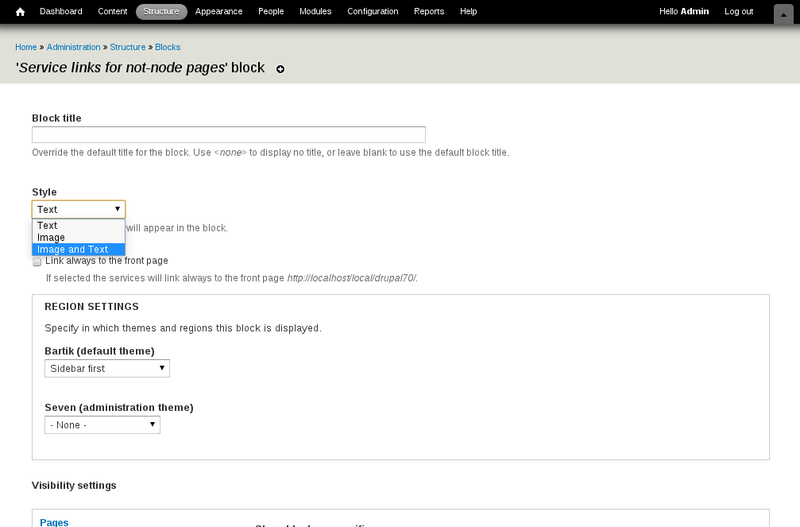 Service Links come with a couple of blocks which can be displayed in your pages depending on the page itself: one of them is reserved to node pages and the second to not-node pages. 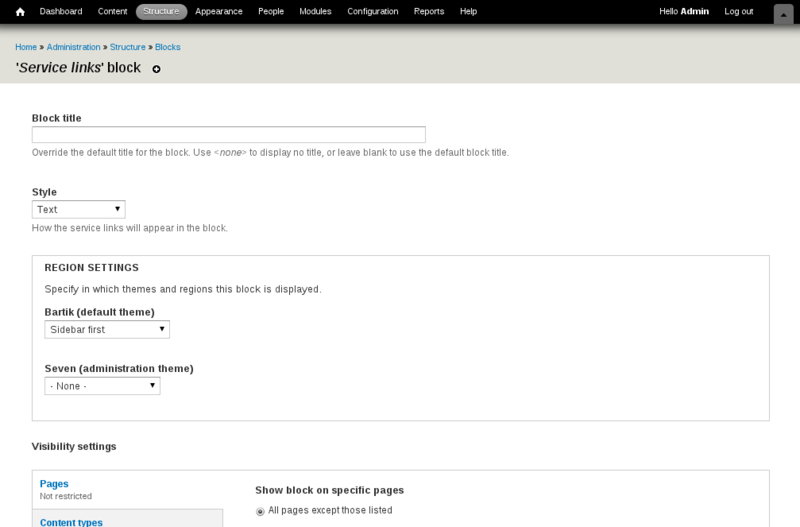 This division allow a more comfortable configuration about styles and among other block settings. 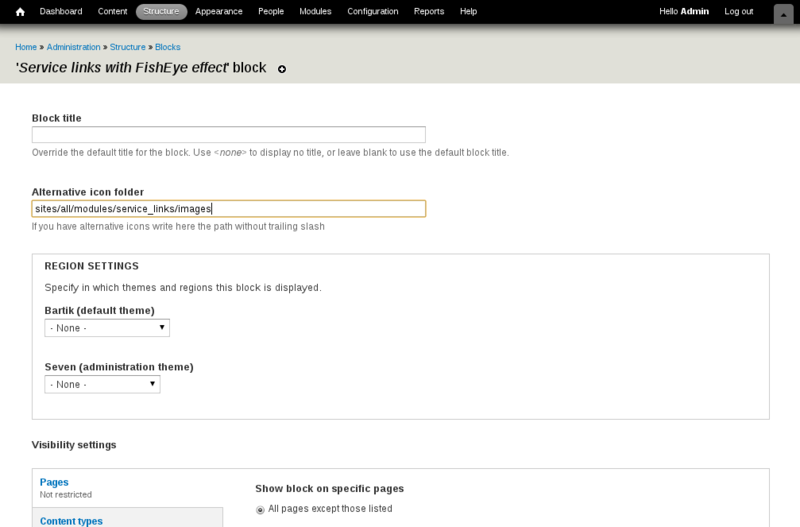 A third block called Fisheye only show how developers can achieve different render integrating extra jQuery libraries. The first option allow to choice a different style among the three allowed. 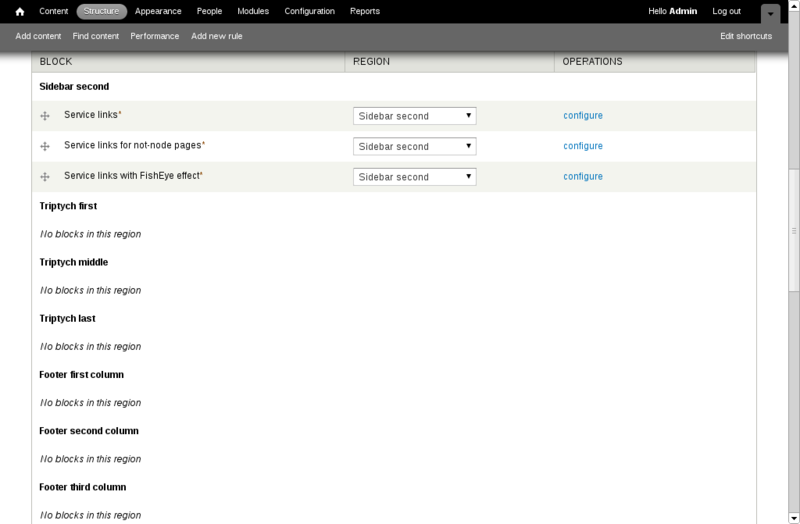 That's useful to have a different representation of the same services chosen in the general configuration section. Nowadays blocks can't be configured to have different icons or services through this admin interface but this will be the matter for the next version priligy 60 mg. The second option override the normal behavior forcing to link the front page instead of the page where this block is shown. Like the previous block, this one has the ability to change its style too, but will show only where a node is displayed as full page. 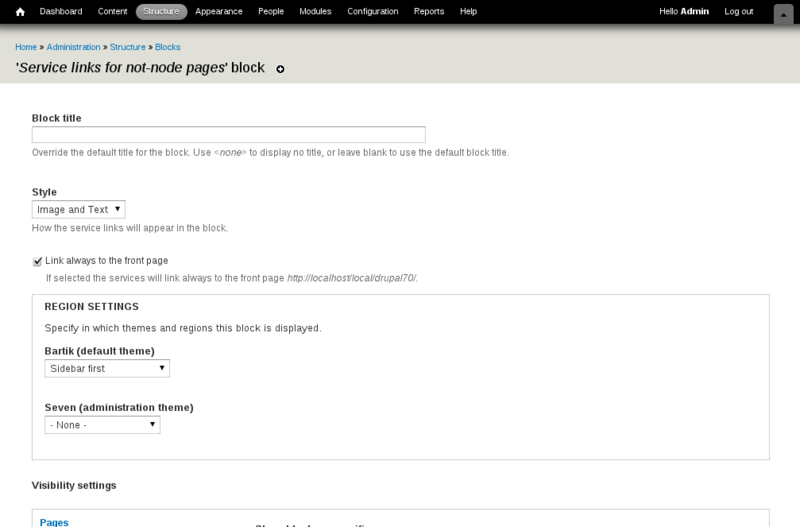 Thus if you need display links in not-node pages use the previous block. The unique option available here is the path used to pick up icons, the standard ones are too little to have a beautiful effect which is close to the MacOS menu. However this block is born to evaluate how much flexible is the model used by Service Links for render and display links, how many steps are needed for a deep customization and things like that, so also if full working, consider this block for what it is and take it a coding example.